Technology is always evolving and new standards also emerge every year in the industry. This fact can cost a lot of money to companies that want to stay up to date by upgrading their hardware. However, data center administrators or IT directors can instead turn to data converters. There are a lot of adapters possible that will reduce the business expenses. For your industrial environments with harsh conditions such as high temperatures or a lot of dust, our converters for the industry will do the trick. Usually, these robust devices are mounted on DIN rails (metal rails) for easier management. 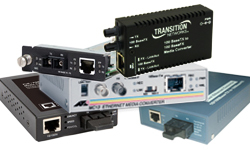 The best IT converters come from leading brands, such as Westermo, FairOptics, Digi, Lantronix, MRV, Transition and others! A.N.S. Europe has great relations with these manufacturers for projects in Belgium, Luxembourg or France. 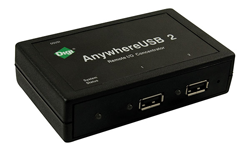 Digi&apos;s AnywhereUSB simplifies the use of your peripherals across the network. It will especially be useful in VMware environments in order to connect a USB peripheral device to a virtual server. The wide range of serial adapters gives you flexibility in the way you access your devices&apos; serial ports. 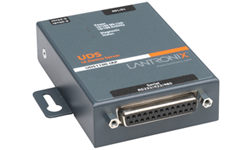 The conversion of the RS232, RS422 and RS485 protocols is made really easy. All types of media converters to combine copper with fibre or multimode fibre with single-mode fibre. Therefore, you can mix your equipment with different Ethernet ports.